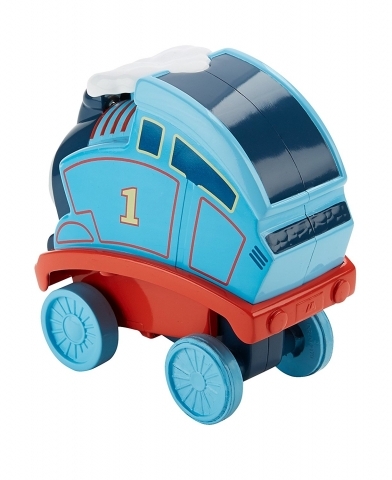 The My First Thomas & Friends Fun Flip Thomas Train from Fisher-Price has kept us giggling for many an afternoon. 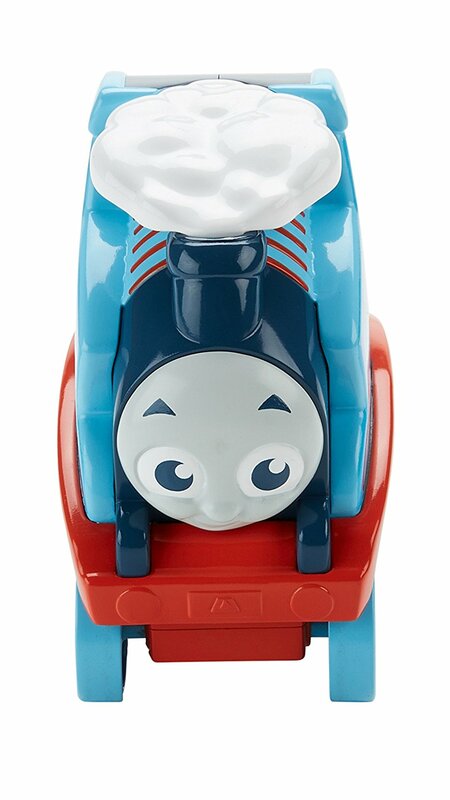 Not only does little Ethan love the friendly look of this new Thomas Train, but Amy enjoys the challenge of making him flip and getting him to land on his wheels. 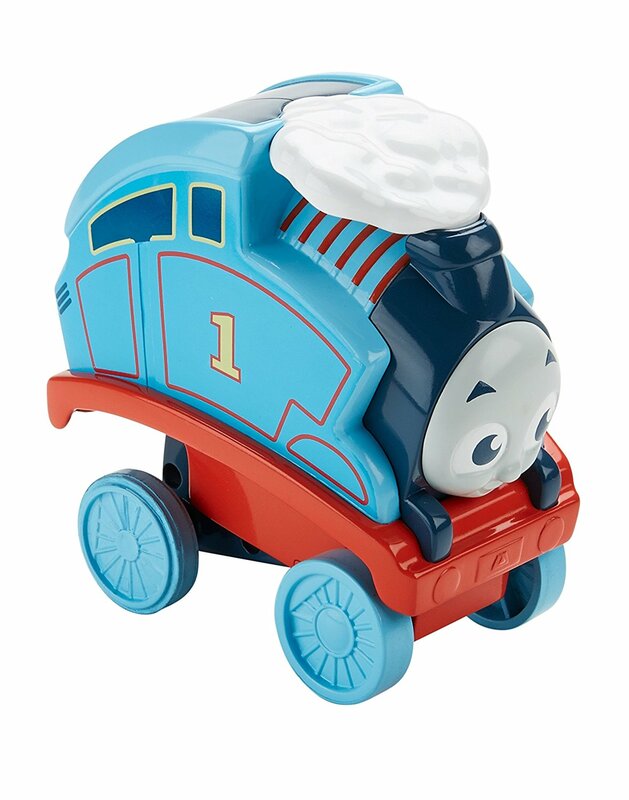 Fun Flip Thomas is a lighter shade of blue and has a softer look about him which will appeal to the little ones. 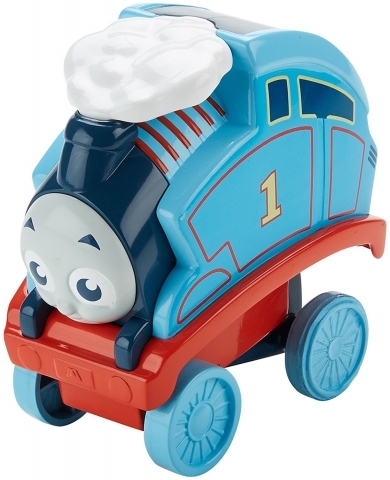 You can play with him as you would a normal train, he has real rolling action that makes pushing him along easy. But you can also press down on his roof to see him race forward and, if you give him enough momentum, he will even complete a full flip. Getting him to somersault and land right-side up on his wheels can be challenging for the little ones, but once they have mastered it they will enjoy attempting to get tumbling Thomas to achieve a “Perfect 10 Flip Score” again and again. Learning how to perform this trick can teach them about cause and effect as well as develop their motor skills. While Fun Flip Thomas may be a little too big to pop into your nappy bag, he is a worthwhile addition to your toy collection and a handy toy to pack for trips away. Fun Flip Thomas Train is available for R299.99 from leading toy retailers. 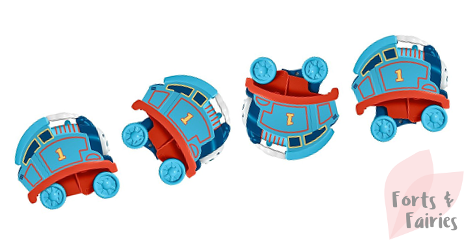 Thanks to Mattel for allowing us to have a ‘flipping’ fun time with Thomas! It’s Disney Book Month, get reading with your little ones!